On a cold, crisp, winter’s day Sam builds a snowman and names him Jeremy. 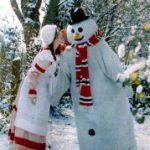 It is not long before she realises that he is no ordinary snowman but one that can walk and talk and think. Together they share many adventures until the day when spring arrives and Jeremy begins to melt. 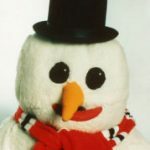 “But Jeremy, sooner or later you will melt – all snowmen melt” she tells her friend but the snowman enjoys his life too much to melt and sets out to save himself. An enchanting story for 4 to 8 year olds, covering, in simple language, the themes of friendship, teamwork, bullying and problem solving, mixed with a little science.